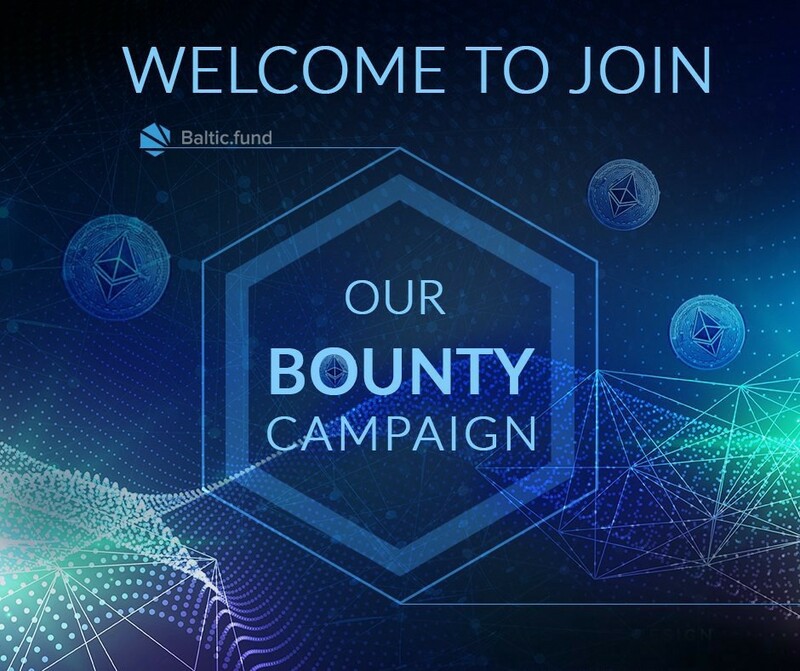 Join Baltic Fund Bounty Program! Are you a media influencer, a social media specialist, or you can translate our content into different languages? Then we are looking for you to join our Bounty campaign. We are building a platform, where you become a game changer in startup acceleration. Support the startups with your BALT tokens to help them grow, and get rewarded with their products, perks or income. Be the first one to obtain the unique products and other benefits from the most promising CEE and CIS startups! We invest in hardware and robotics, cybersecurity, enterprise software, fintech, AI and blockchain based projects. Read more on Medium or our website. 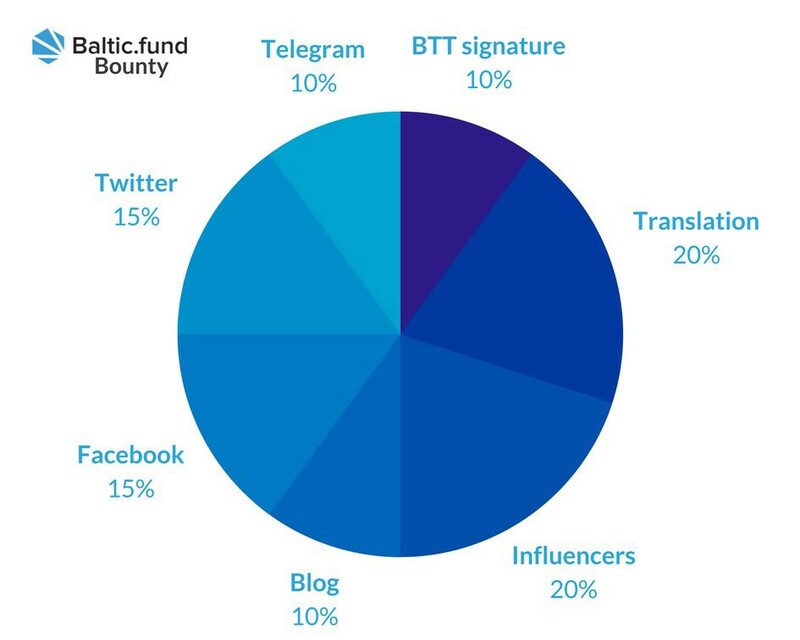 The Bounty program is a part of the marketing campaign, which encourages its participants to spread the word about us and get rewarded with BALT tokens. In other words: you do different tasks for us, then you get tokens or “stakes” (an option which will transform into X Tokens after the public sale) which you can use at our platform, exchange or sell. During the first week, hundreds of supporters joined our campaign, translating our website, WP, Summary and BTT posts into different languages, sharing our news in social media, and creating articles and video about us. There are 4 000 000 BALT tokens, allocated for Bounty campaign. The total amount of Bounty tokens is divided into stakes to serve different promotion channels and activities. From the first week results, we see that Bounty participants are mostly focused on the following campaigns: Twitter, Telegram, Facebook. And don’t forget to join our Telegram community! You can also join us on Facebook, Twitter, BitcoinTalk, or subscribe to our Medium blog.